It’s been about 15 months since a new episode of Rick And Morty aired, leaving fans of the ingenious sci-fi comedy ’toon feeling like they’ve been caught in one of Slow Mobius’ attempts to show off his powers, brooooo. Thankfully, season two is finally commencing this Sunday, putting an end to our long, national, Gazorpazorp-free nightmare. Still, the question lingers: What took so long, guys? Could it be that Rick, the heaviest drinker in the mad scientist community, misplaced the master tapes to the new episodes during an all-night bender? That’s the explanation provided by The Rickstaverse, a new Instagram game cooked up by the Rick And Morty team, presumably with at least some input from the show’s creators, Dan Harmon and Justin Roiland. Essentially a point-and-click, Rickified version of Where’s Waldo?, the game allows users to scan large pictures of various locations—Pluto, a destroyed Zigerion spaceship, the floating and festering body of Ruben—in search of the bootleggers who stole the tapes. (A dig at whoever leaked a couple of those upcoming episodes? Probably.) Players can also collect various bonus items, like a device that allows them to (disgustingly, graphically) mate various alien species. Each “photo,” including the ones that don’t have clickable items embedded in them, comes annotated with a sardonic remark written in the voice of Rick. One of them may or may not be a burn on Eli Roth. As the following video explains, all one needs to do to unlock this treasure trove of Rick And Morty in-jokes is to follow the game’s Instagram page. It’s not quite A material—that, hopefully, is being saved for the new season—but hunting down the fictional bootleggers could open up some exclusive content. 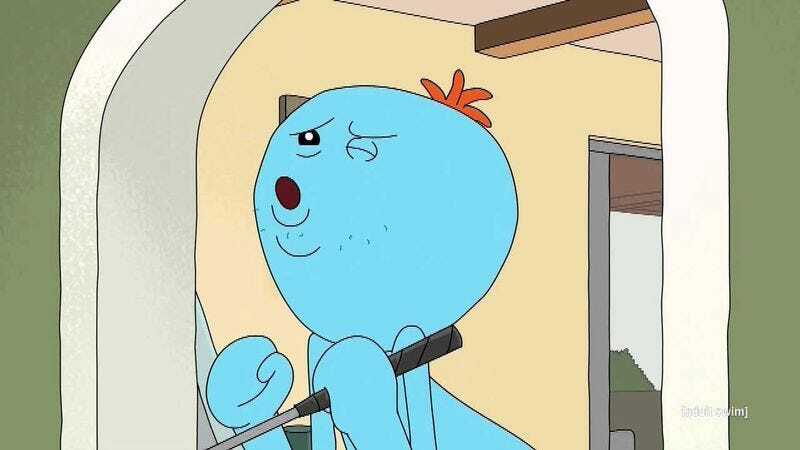 Besides, how else are you going to fill the three days—an eternity in Meseeks time—between now and Sunday?